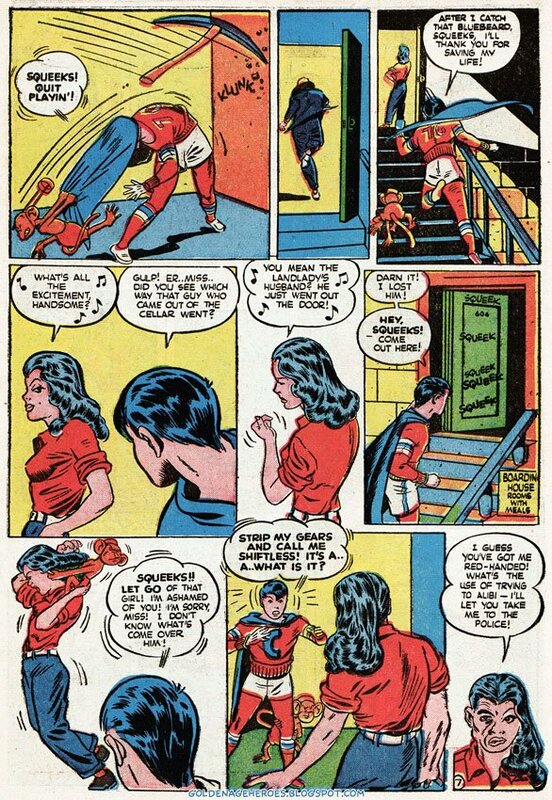 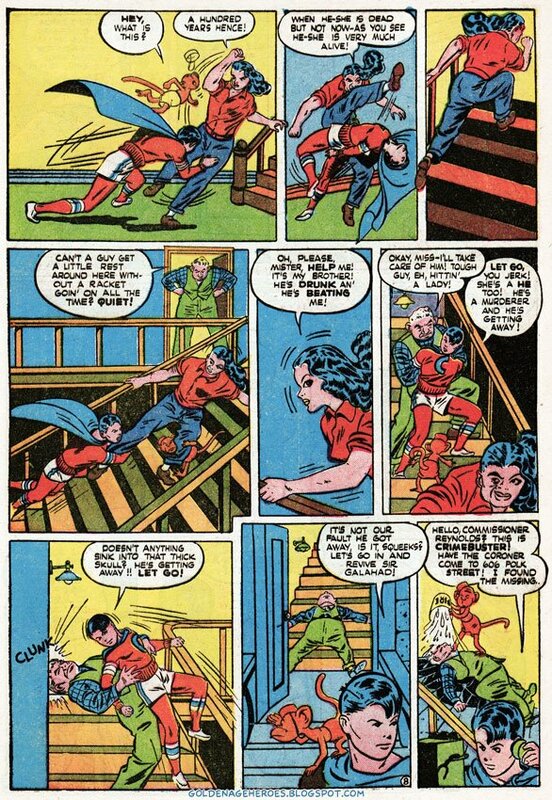 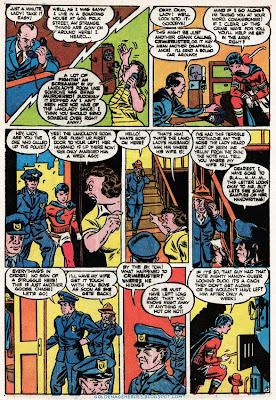 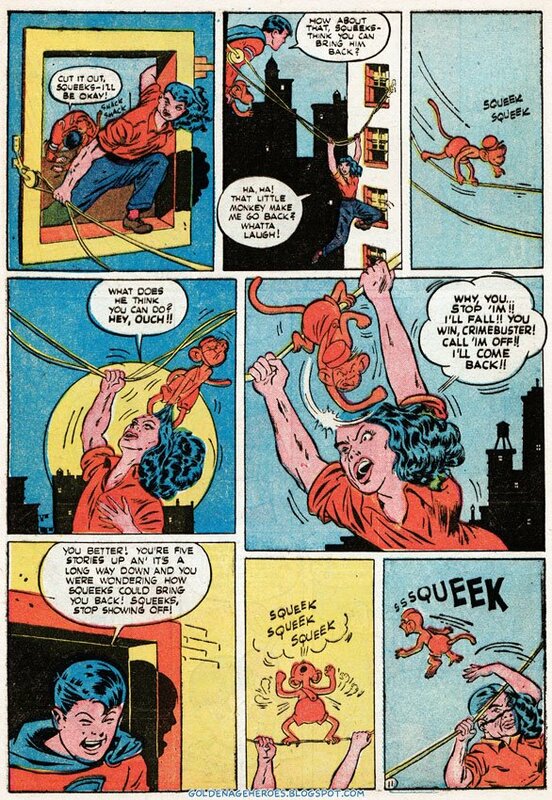 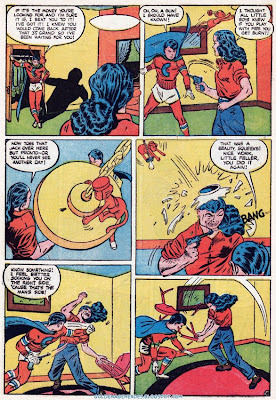 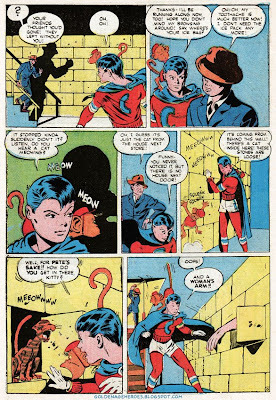 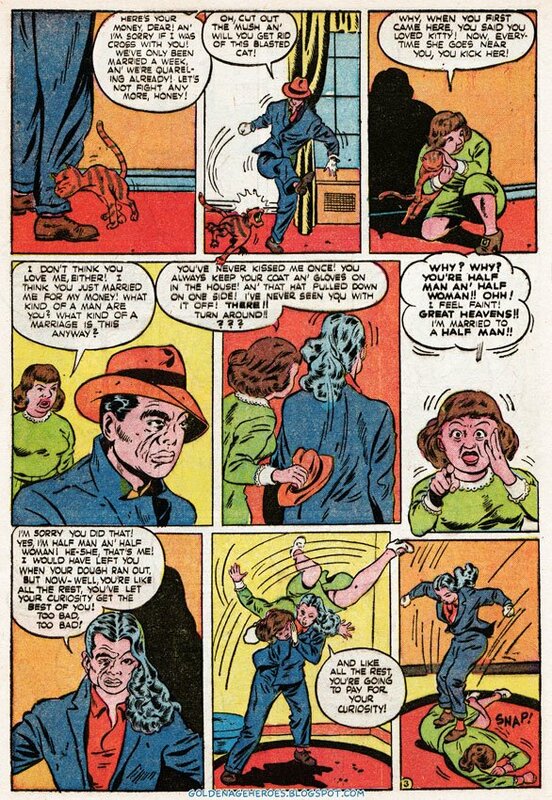 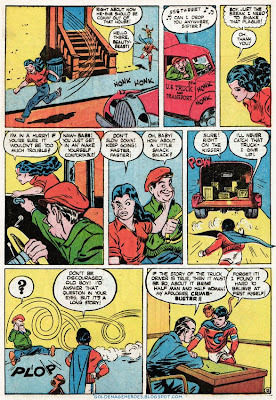 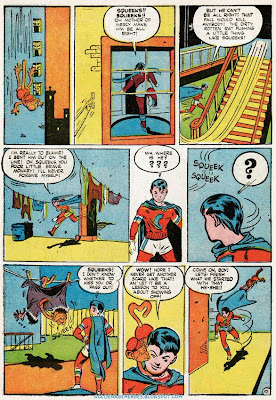 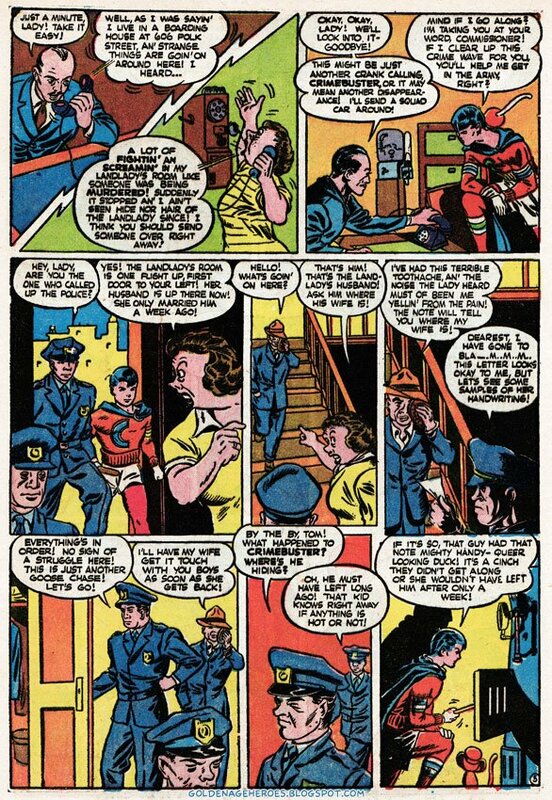 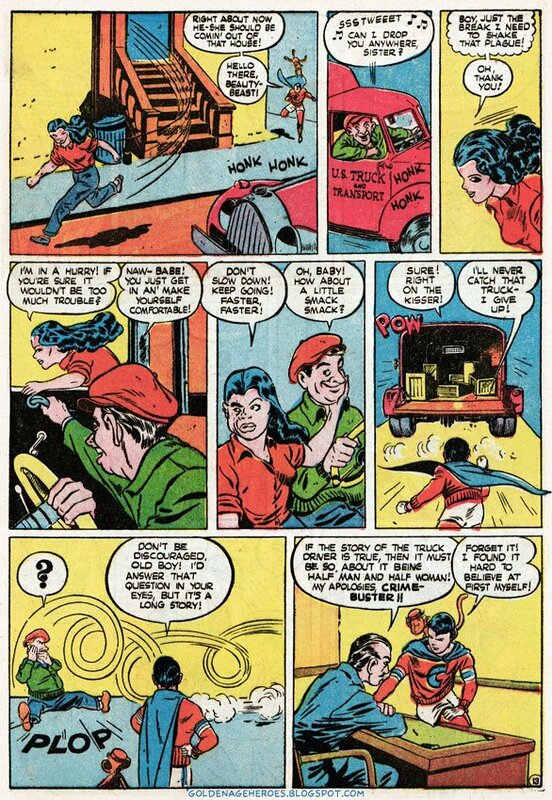 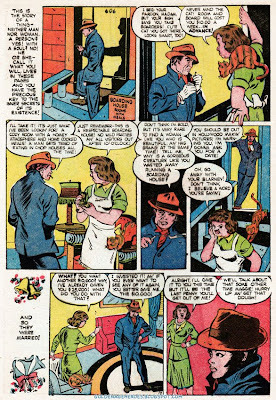 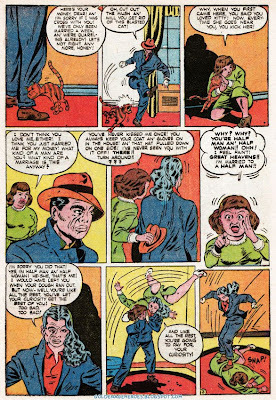 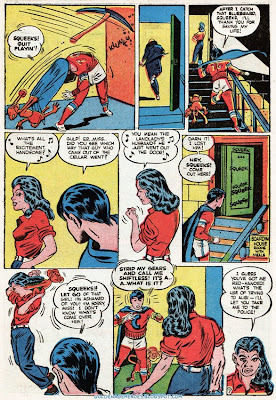 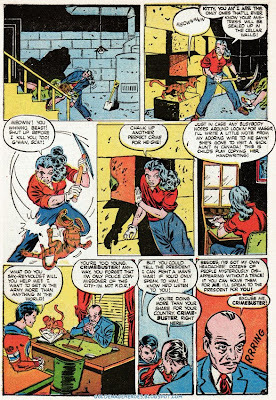 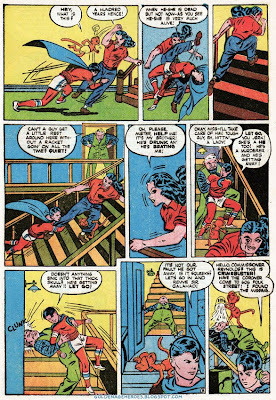 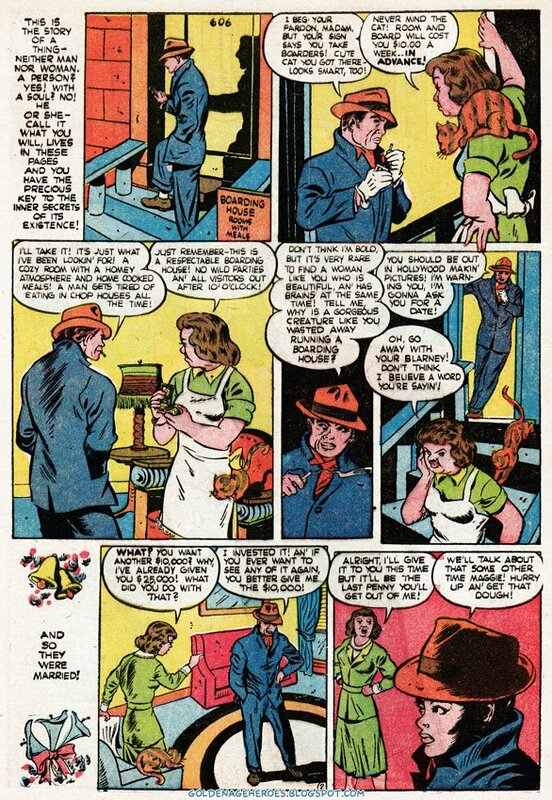 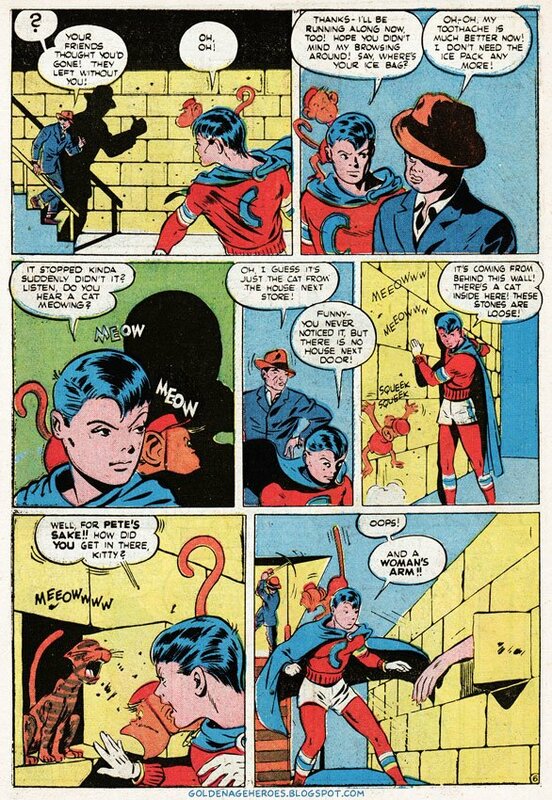 Golden Age Heroes: CRIMEBUSTER versus HE-SHE!! 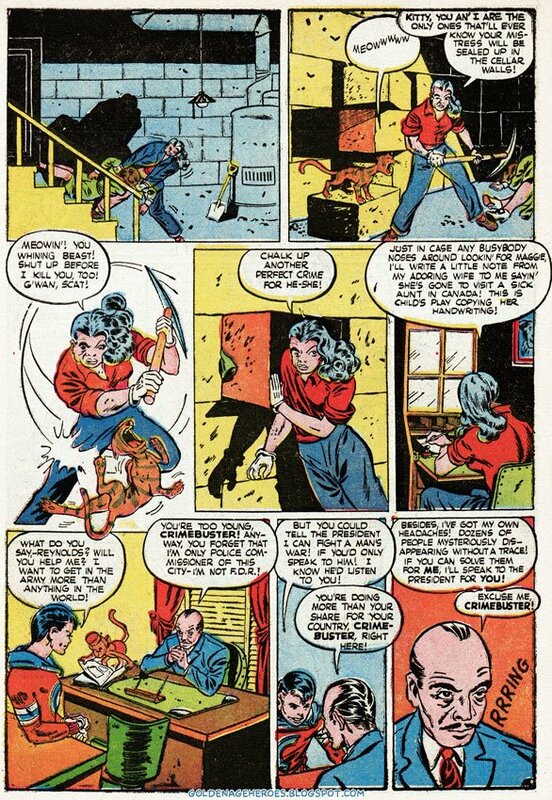 What a great, totally freaky story...it made my Sunday morning. 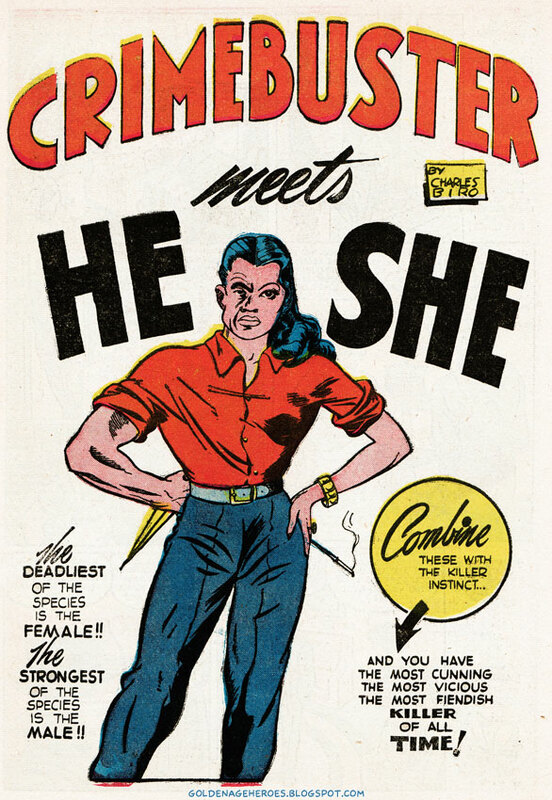 It's apparent that HeShe could have used the help of a multi-gender support group. 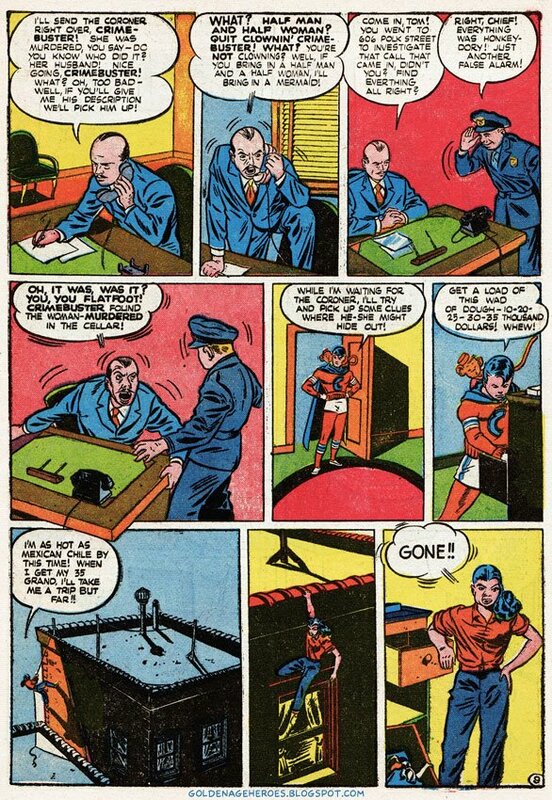 I wonder what sort of issues Biro was working out? 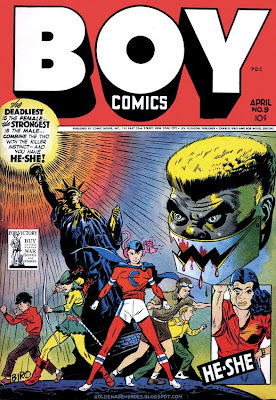 Feh. 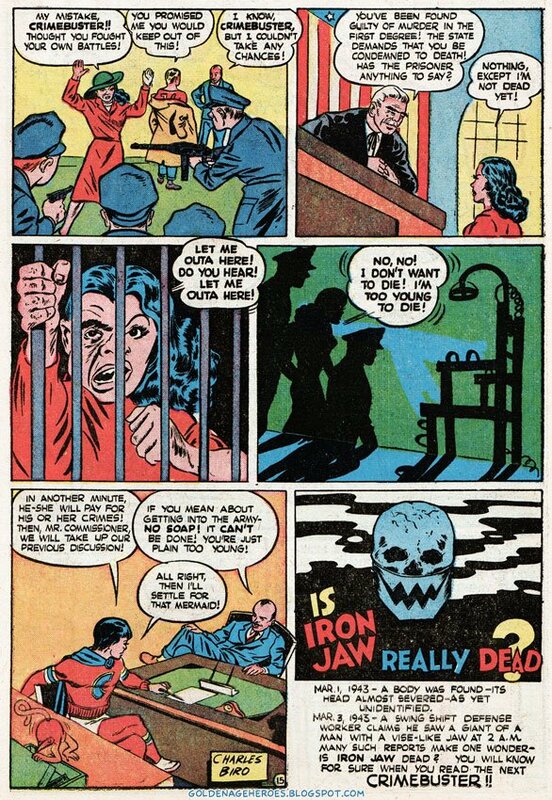 No interest in villains that could be helped by support groups...I just want 'em evil!! Ha, I totally agree with Tony Z. 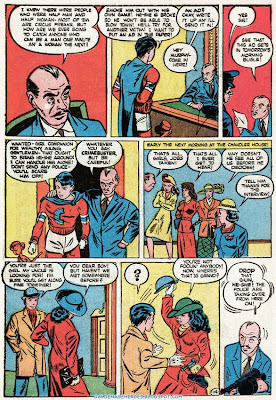 And the assailant, if I am not mistaken, is Kilroy, which would became one of the main supporting characters later on.